Green pea flour comes from finely ground dried green peas. It has a sweet taste to it, with multiple health benefits. You may have heard of green peas and split green peas. 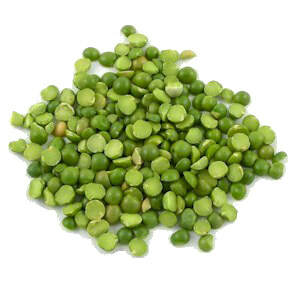 Split peas comes from shelled peas, that can be yellow or green and have been processed. How To Make Your Own: Take dried green peas, place in high output blender, food processor, or coffee grinder and grind until fine. Combine water and green pea flour in a small sauce pan. Reduce heat and cook 3 minutes. Let cool and then stir in mashed avocado, diced tomatoes, lemon juice, chili powder, and Picante sauce. Serve with tortilla chips or on top of entries.